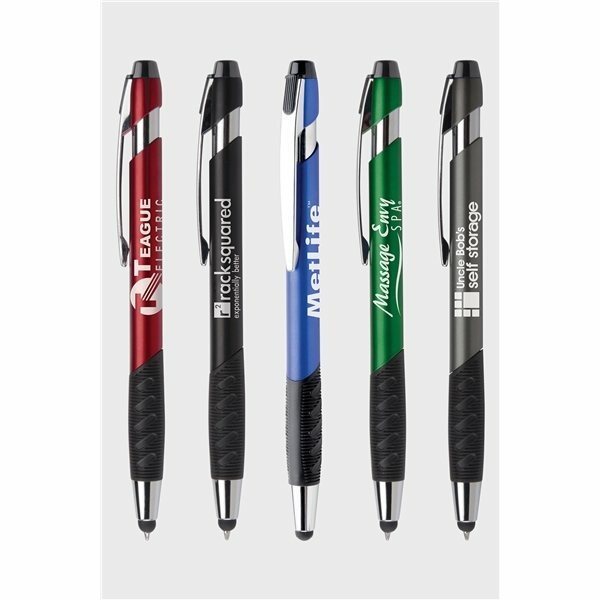 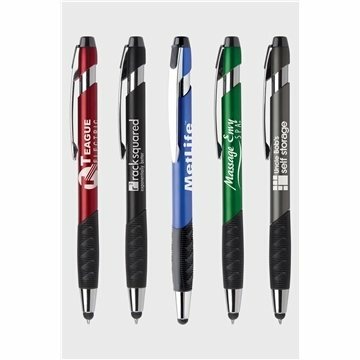 Executive pen good looks give this promotional pen high end appeal. 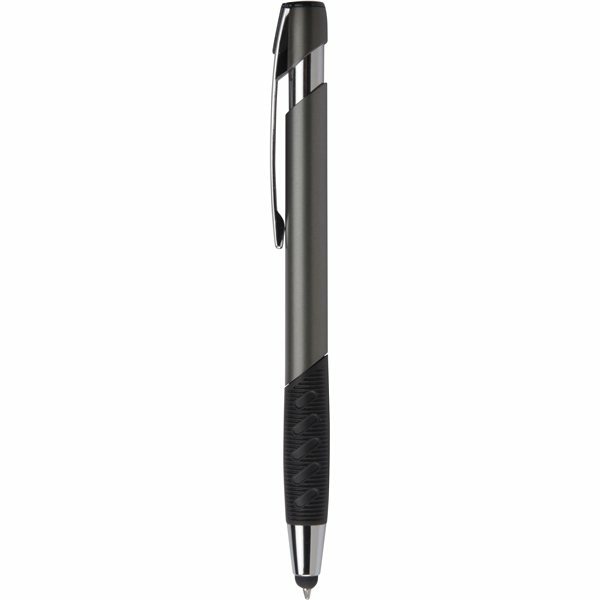 Handy stylus tip make texting and scrolling a breeze. 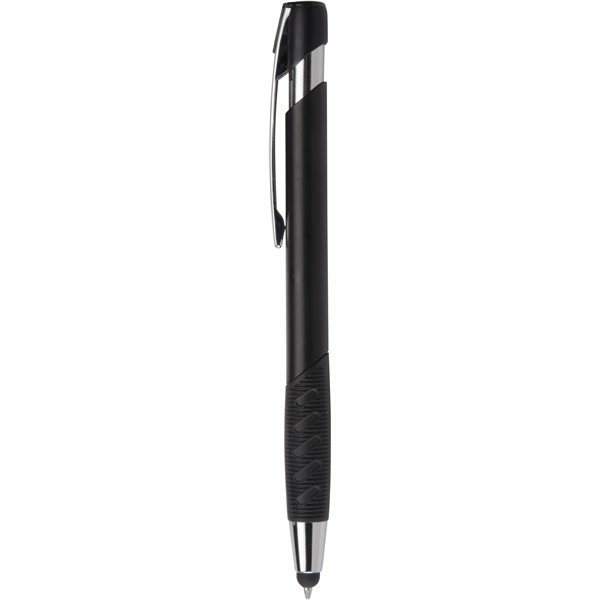 Textured rubber grip and intensely bold black ink for writing.